Special teams are an often-overlooked aspect of football, but are an important component of winning games. One of the many pieces of value that Pro Football Focus adds to the conversation is our detailed, process-oriented grading of all six phases of special teams. Through this grading, we are able to create lists—like this one of the league’s best special teams players—that are position-specific. Through a simple, linear model we can show that our special teams grades can account for 19.18 percent of the variability in the number of wins a team earns during the course of a season (from 2013–2016, the seasons for which we have complete set of special teams grades). Since this is far from a trivial amount, we developed a ranking algorithm for special teams, that weighs each phase by how much they contribute to winning games. Below we give you the top six special teams units from the 2016 season. Justin Tucker made the Ravens look good for giving him a four-year extension prior to the 2016 season, leading the league with 38 made field goals (in just 39 attempts), while not missing an extra point for the fifth time in his five seasons. He was PFF’s highest-graded kicker on field goals and extra points by a mile. Punter Sam Koch was fantastic as well, finishing fifth among punters in PFF’s cumulative grading, while dropping 36 punts inside the 20-yard-line (also fifth). After losing top cover-men Matt Elam, Kendrick Lewis, and Kyle Juszczyk (who combined for 19 total tackles a season ago) this offseason, it will be interesting to see if Baltimore can continue to boast the league’s top unit in 2017. It’s a pretty safe bet that the Chiefs would not have finished the regular season atop the AFC West had they not had the benefits of one of the league’s best special teams units. 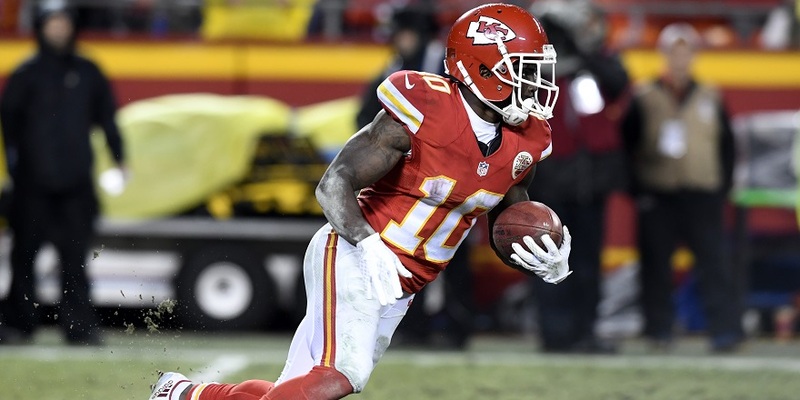 Rookie playmaker Tyreek Hill led the league in yards per punt return (15.2), while chipping in three total return touchdowns and five total tackles as a gunner on punts. Fellow rookie Eric Murray fit right in with the solid collection of contributors Special Teams Coordinator Dave Toub has been accumulating in Kansas City for years, generating one of the league’s best overall special teams grade while missing only one tackle and committing just one penalty all season. Former head coach Jeff Fisher certainly valued special teams during his tenure, cultivating units that finished third, second, eighth and third in PFF’s rankings over the last four years. A lot of the team’s success can be mapped to that of Johnny Hekker, the league’s second-highest graded punter in 2016. He led his position in net yards per punt by almost two yards, and his 40 fair catches forced were the league’s second-most (while he only committed one touchback). Cody Davis, Marqui Christian, Cory Littleton, and Bryce Hager all graded impressively on both punt and punt-return units, while the team’s one-year gamble on kicker Greg Zuerlein seems to have paid off, as he enjoyed the second-highest field-goal percentage of his career (86.4) in 2016, and earned a three-year contract extension this offseason. The Raiders were a team that figured out the new kickoff rule relatively quickly, with longtime kicker Sebastian Janikowski generating a touchback on just 47.3 percent of his kickoffs (about 10 percentage points less than the league average). Such a strategy led to an average starting field position (the 23.5-yard line) that was more than a half of a yard less than the league average, and a yard-and-a-half less than on a new touchback. Couple this progressiveness with the work of the ever-gregarious punter Marquette King (our eighth-highest-graded punter this past season), return man Jalen Richard (our second-highest-graded return specialist) and ace Brynden Trawick (who finished fourth in the league in solo special teams tackles), and you have a recipe for one of the league’s top special teams units. Pat McAfee put together arguably the best career of any punter in the PFF era (since the 2006 season), finishing with a bang in 2016 by earning the top grade at the position and allowing an average starting field position of 23.7 yards on kickoffs. He’s been among the top-three punters in overall grades each season since 2012, and his retirement leaves a huge hole on the Colts’ roster. Replacing him with former Vikings punter Jeff Locke represents a major downgrade, as Locke has never finished above 26th in PFF’s punter grades, and has only kicked off six times his entire career. 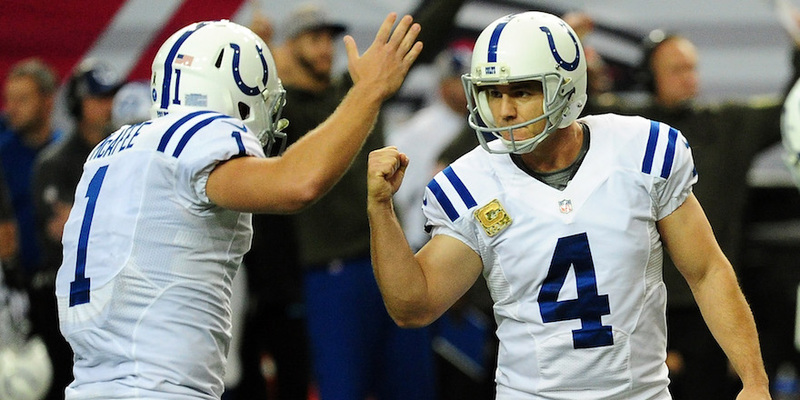 Luckily for Indianapolis, the venerable Adam Vinatieri keeps on ticking, and in 2016, he finished third in PFF’s grading on field goals and extra points, hitting 27 of 31 attempts. Vinatieri missed just nine kicks the last three seasons combined, and in all likelihood, will be a Hall of Famer once he finally decides to follow McAfee’s (15 years Vinatieri’s junior) path out of football. Eight of Detroit’s nine wins this past season were such that they trailed in the fourth quarter, and having a weapon like Matt Prater (who was seven-of-seven on field goals longer than 50 yards) made those wins more likely than they would have been with an average kicker. Throw in two touchdown returns in 20 opportunities by Andre Roberts on punts, and the prowess of Don Carey and Miles Killebrew (18 combined tackles) in coverage, and it makes more sense how a team with the 17th-highest-graded offense and the 31st-highest graded defense can still make the playoffs in a tough NFC North.